Over 20 years of experience. 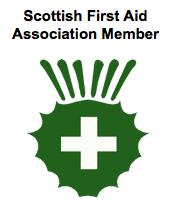 Specialists in Outdoor First Aid, Advanced Outdoor First Aid and assisting others to become first aid trainers. We regularly deliver various tailored first aid, education, assessor, and workplace compliance training. MWS externally regulated first aid qualifications. Our courses occur throughout the UK. Professional, qualified, experienced, credible trainers offering nationally regulated qualifications [accredited by ITC First Awarding Body, regulated by Ofqual, Qualifications Wales and Scottish Qualifications Authority]. 20 years ago we were the innovative market leaders, now many in the outdoor training sector follow our methods. We have stood the test of time. Courses that meet statutory first aid at work regulations - EFAW & FAW. Bespoke niche market first aid training courses - Motorcyclist or Forest School first aid. First aid training courses & qualifications for groups or individuals, from Cornwall to Sutherland, weekday or weekend. Please contact us (01429 222948) for a 'no obligation' discussion about your first aid needs. Do you wish to deliver first aid training to your customers or groups? MWS supports those wishing to deliver first aid training to their own group, workplace or school. We can advise those who wish to deliver in an informal unregulated manner, e.g. as part of personal development training to youth groups or guide you along the path to delivering accredited qualifications that meet statutory, regulatory or license to practice needs. If you require support to develop your own first aid training business we can again point you in the most appropriate direction or put you in contact with professionals to help you. Bespoke courses at venues throughout the UK. We will come to your venue if you have more than 4 candidates.